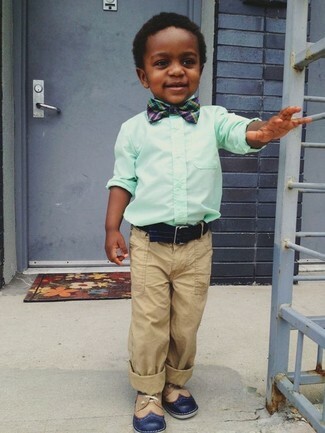 People will swoon over your little guy if he wears this combo of a mint long sleeve shirt and a Class Club denim dotted bow tie from Dillard's. Finish off this getup with navy oxford shoes. 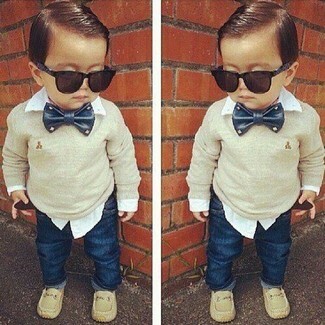 Suggest that your little angel pair a grey cardigan with a Class Club denim dotted bow tie for a laid-back yet fashion-forward outfit. Grey boots are a savvy choice to round off this outfit. 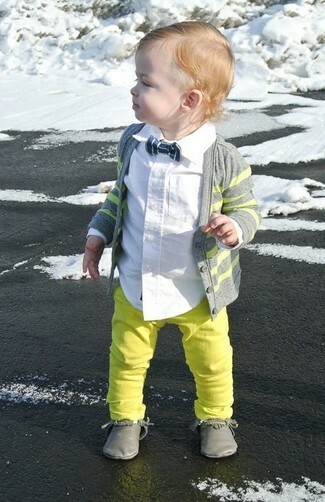 A beige sweater and a Class Club denim dotted bow tie are a great outfit for your little man to go out exploring. Beige loafers are a nice choice to complement this ensemble. 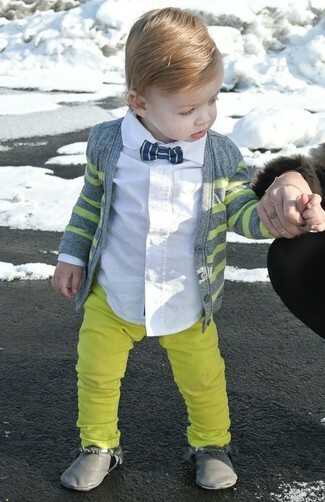 This combo of a grey cardigan and a navy bow-tie is both a comfortable and stylish choice for your child. Grey desert boots are a great choice to complete this getup. 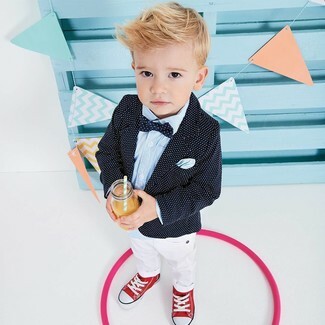 Your munchkin will look extra adorable in a black polka dot blazer and a Class Club denim dotted bow tie. Red sneakers are a great choice to finish off this getup.